Today's project is twice as fun because it is part of a blog hop. If you are here from The Hunted Interior, welcome! 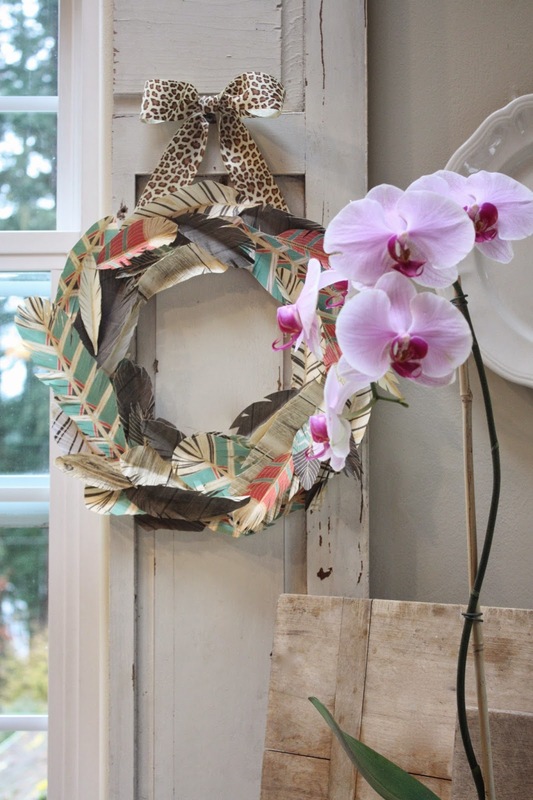 My friends Jamin and Ashley over at the Handmade Home asked me to be a part of a fun challenge. They just happened to be the authors of several wonderful books, found here. To use an image from one of the 3 books, but in a way other than just framing it. I chose a page out of the Art For The Eclectic Home book. 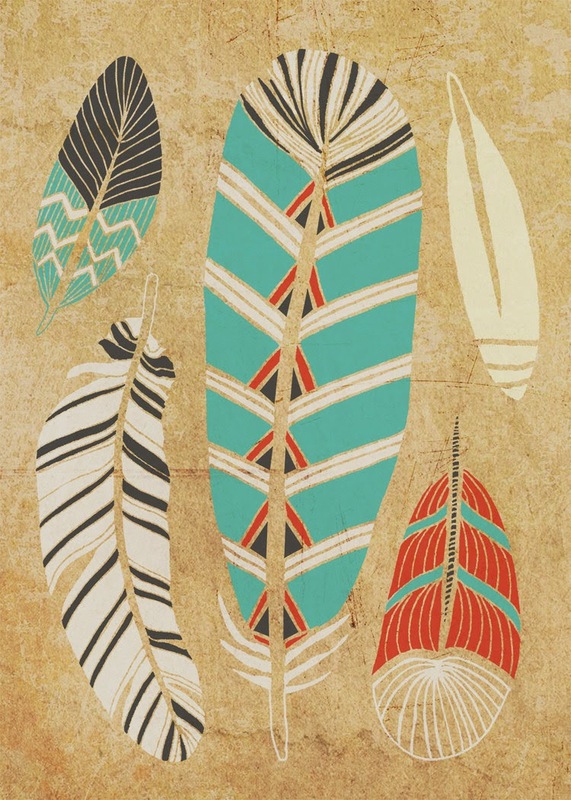 It's called "Tribal feather" by Courtney Oquist. As to not damage the book, I made several color copies of the page printed onto card stock, cut all the feathers out and cut the edges with scissors in a random fashion. 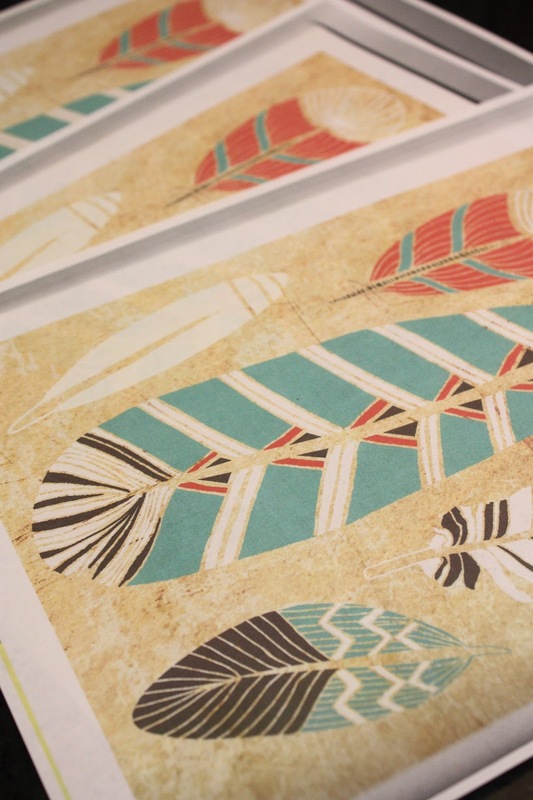 I also creased the feathers down the center to give them a little dimension. 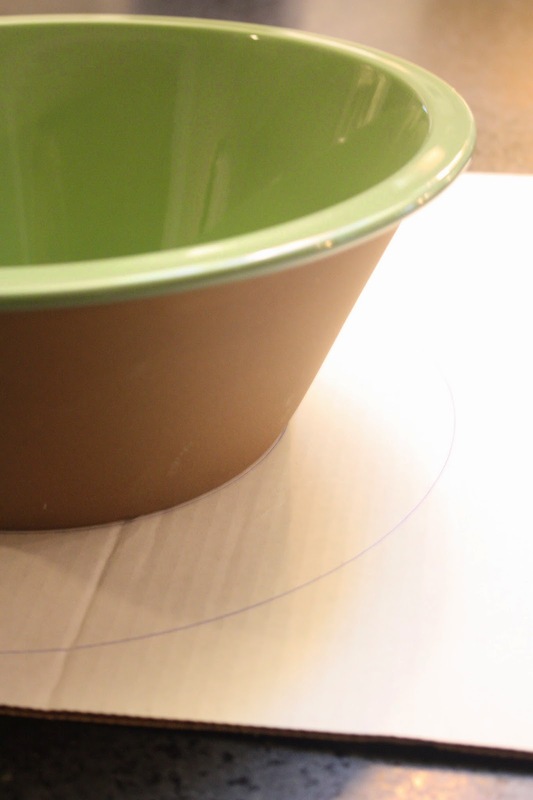 bowl onto a piece of cardboard and cut out. 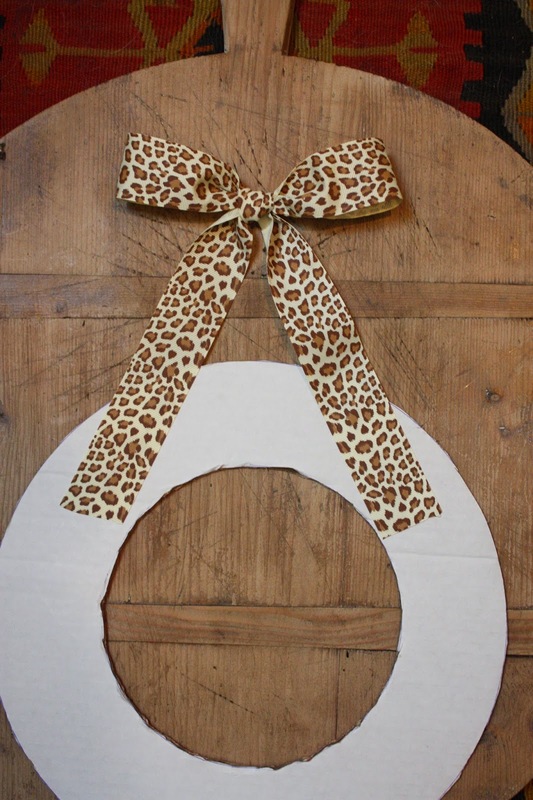 Next, attach a ribbon with hot glue. Then just start glueing on the feathers, overlapping them, but keeping in the same direction. 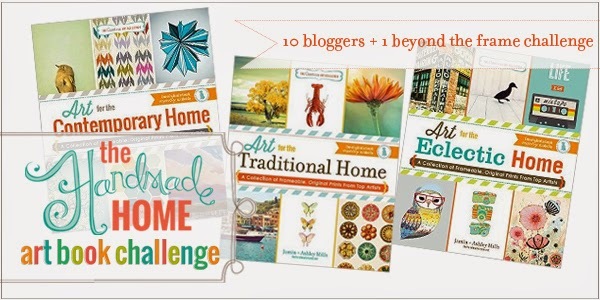 To see what Laura at Finding Home Online did for her challenge, click here! Brilliant! I love it. Confession, I was originally going to make a wreath with those feathers and coundn't figure out how to do it so it would turn out fluffy! Yours looks amazing! What a creative idea! I love the colors and dimension. 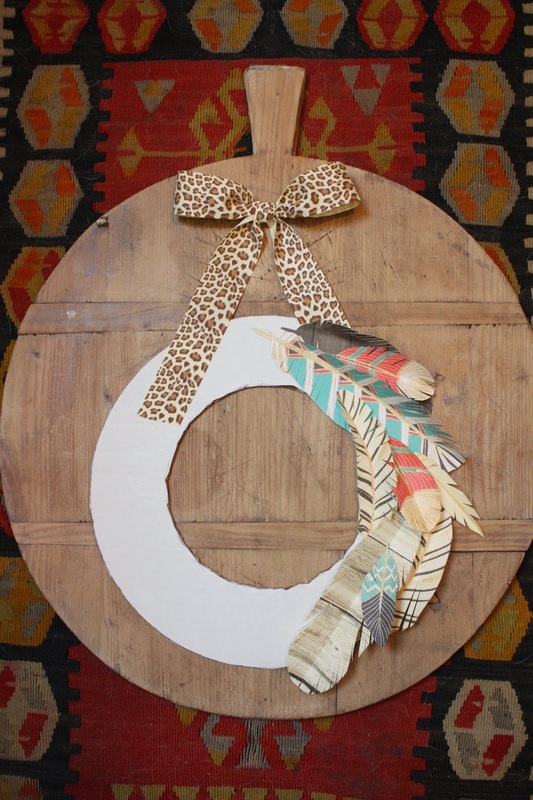 very cool wreath idea. I am pinning! What a swell idea! Love the colors! The colors are so pretty! Love it. Acually, I love all your projects! Well done once again.